We are a leading service company with over 30 years experience in the sale, repair and maintenance of photocopiers, and provide a UK-wide call out service. We believe that our brand knowledge, attention to detail and dedication to customer service sets us apart from other companies. Our offices enable us to readily access both the north and south of the UK, making us ideally located to provide a comprehensive sales, repair and maintenance service for photocopiers, faxes, printers, and digital duplicators, as well as supplying consumables and paper for office equipment. Whether your business needs replacement office equipment, repairs to existing machinery, or you are considering a maintenance contract, we provide a professional, prompt and efficient service, wherever you are in the UK. A list of counties we work in including London, Birmingham, Manchester, Bristol and Leeds. 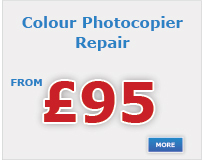 We now have a dedicated HP photocopier repair and Brother photocopier repair website. 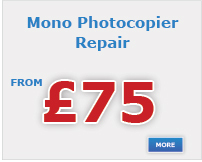 Once you’ve had your photocopier repaired why not consider taking out an annual maintenance contract? You get all the great features of our photocopier repair service plus a whole host of other benefits including free parts, training and a helpline.